We are constantly on the look out for high quality treats for your pets. 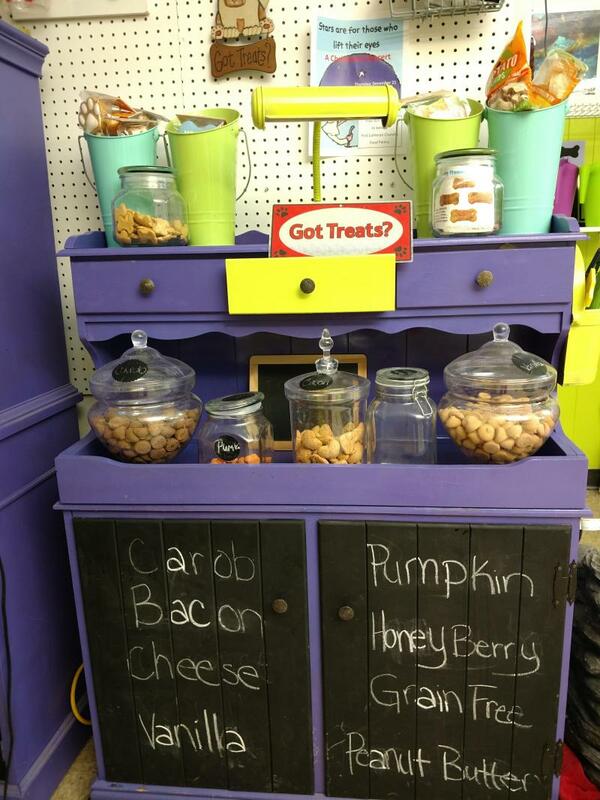 Be sure to check out our treat bars in the salon and the new treat bar coming to the daycare area. Thinkining about the wellbeing of your pets? We have teamed up with NuVet labs and are able to offer supplements to help enhance the wellbeing of your pets. We have supplements for cats and dogs. Stop by the shop for a sample and obtain literature/information. Paying a visit to your vet to have teeth cleaned can be very expensive. Try some preventitive care. We offer oral care at the shop. We also have oral products in house for sale. Stop by and ask for more information and a squirt of some of our breath freshner. We carry a very selective range of products in house for you to use at home. Our staff will be able to assist you in making educated choices.